31. 03. 2019 12:57 14 (8 - Tänak Ott / Järveoja Martin): In the end let's say it's disappointing, but now at the rally I didn't enjoy at all a couple of years ago we are on the pace. We've collected some points. The fight goes on. 31. 03. 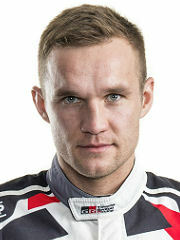 2019 10:43 13 (8 - Tänak Ott / Järveoja Martin): A good stage, a very fast one. Not perfect notes but we did all we could. 30. 03. 2019 18:16 12 (8 - Tänak Ott / Järveoja Martin): I still need some points. 30. 03. 2019 17:05 11 (8 - Tänak Ott / Järveoja Martin): Puncture. Very strange. Okay. 30. 03. 2019 15:21 10 (8 - Tänak Ott / Järveoja Martin): I had a good run, all clean. Still a long way to go. This is not the last stage yet. 30. 03. 2019 11:14 9 (8 - Tänak Ott / Järveoja Martin): This was a tricky stage and a new stage. I'm sure nobody is going on the limit but I had a good rhythm and my notes were quite okay so no worries. 30. 03. 2019 10:06 8 (8 - Tänak Ott / Järveoja Martin): We need to be on the limit, we need to push. There is no holding back. I'm enjoying the fight. The car is really good. 30. 03. 2019 10:02 7 (8 - Tänak Ott / Järveoja Martin): It's a good battle. I think it will be tight today so we need to do well. 29. 03. 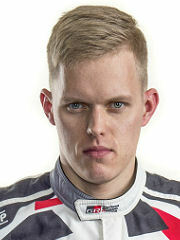 2019 18:50 6 (8 - Tänak Ott / Järveoja Martin): A very consistent day. For the second loop we had to be a bit careful - we had a damper issue at the front. But in the end it didn't change the behaviour too much. 29. 03. 2019 15:57 5 (8 - Tänak Ott / Järveoja Martin): A clean run, not pushing to the limit yet but going at a good rhythm. 29. 03. 2019 15:54 4 (8 - Tänak Ott / Järveoja Martin): Quite a bit more gravel in places now but generally still nice. I'm quite happy. 29. 03. 2019 11:01 3 (8 - Tänak Ott / Järveoja Martin): Not a very good morning but consistent. No issues but I believe my rhythm can improve. Generally the car is working well, I just need to understand these new stages. Generally I'm quite happy. 29. 03. 2019 08:52 1 (8 - Tänak Ott / Järveoja Martin): Car is not so bad. A new stage, we made new notes and they were too slow in places. We came across some cows in the road.